Air filters prevent dust, dirt, and debris from getting into your HVAC system’s air ducts, and will eventually get clogged over time. 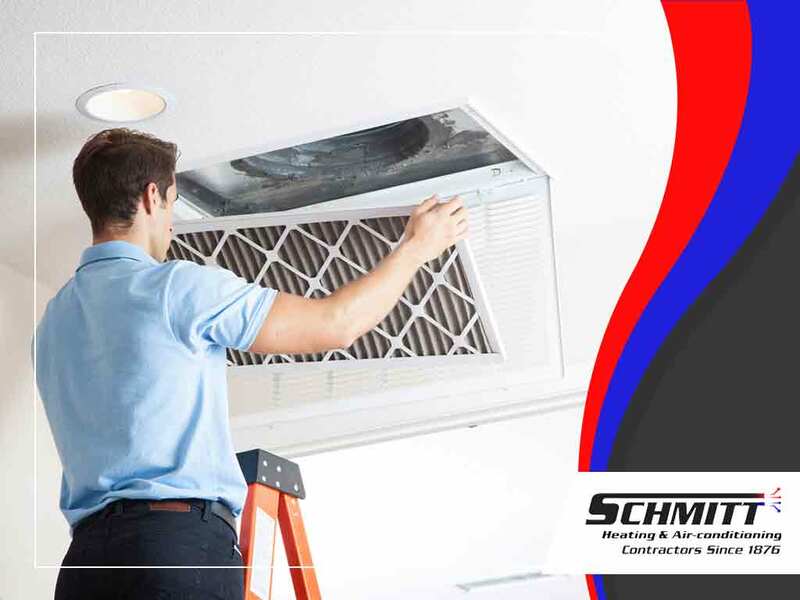 Schmitt Heating & Air Conditioning takes a look at the common problems that are caused by clogged air filters. Increased Operating Cost – Clogged air filters hinder proper airflow, which results in reduced air intake. This means it takes more time for the HVAC system to heat or cool your home, reducing its efficiency. 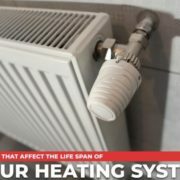 The longer an HVAC system takes to reach the desired temperature, the more energy it consumes, and therefore the higher the resulting utility bills will be. Clean air filters facilitate faster air flow, making the HVAC system more efficient. Excessive Dirt Build-Up – Neglected air filters will eventually allow dirt and dust to enter the ductwork, build up, and recirculate into the room. This also encourages mold and mildew growth in the ductwork itself, which could lead to respiratory problems or trigger allergic reactions. Untended, the built-up dirt can block the blowers and other essential components, further affecting its efficiency. Proper HVAC maintenance, including regular filter replacement, can help ensure a healthy indoor environment. 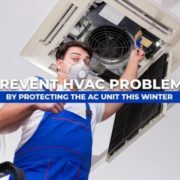 Unplanned Repairs or Replacements – Longer operating times and lack of maintenance can take its toll on your HVAC system, resulting in premature failure and costly repairs. There are known cases where the blocked airflow has caused frost build-up on the cooling coil, which necessitated extensive repair work. 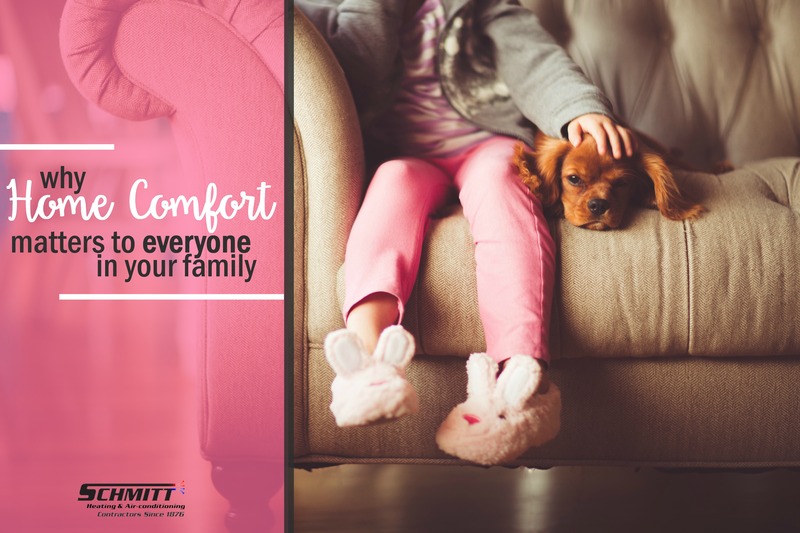 Uncomfortable Living Space – Inefficient HVAC systems can be detrimental to your home’s comfort levels. It takes much longer to reach your desired indoor temperature, or it might not even reach it at all. 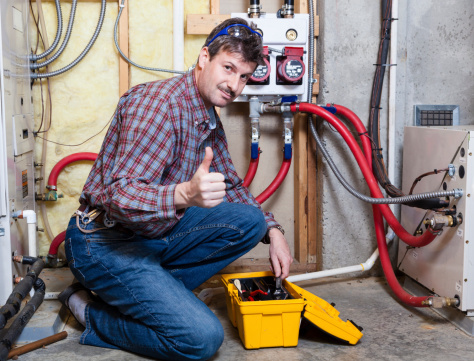 Ultimately, these problems can be prevented with regular inspections, and replacing or washing the filters as needed. 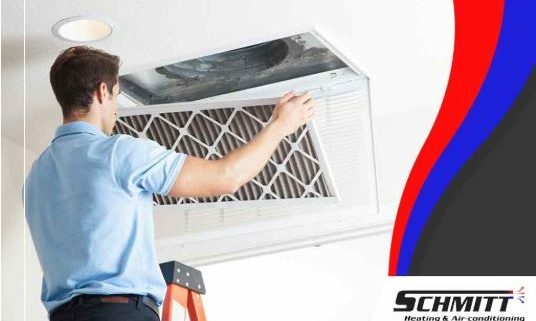 Most air filters are designed for easy replacement, so make it a point to ask your HVAC contractor or check your care and maintenance manual to review how it’s done. To learn more about HVAC maintenance, call Schmitt Heating & Air Conditioning today at (415) 689-7849. You can also fill out our contact form to schedule an appointment.